How Is Your Camera Doing? Do the Camera Health Check! - Frequently Asked - Alfred Center | get the most out of the best home security app! How Is Your Camera Doing? Do the Camera Health Check! 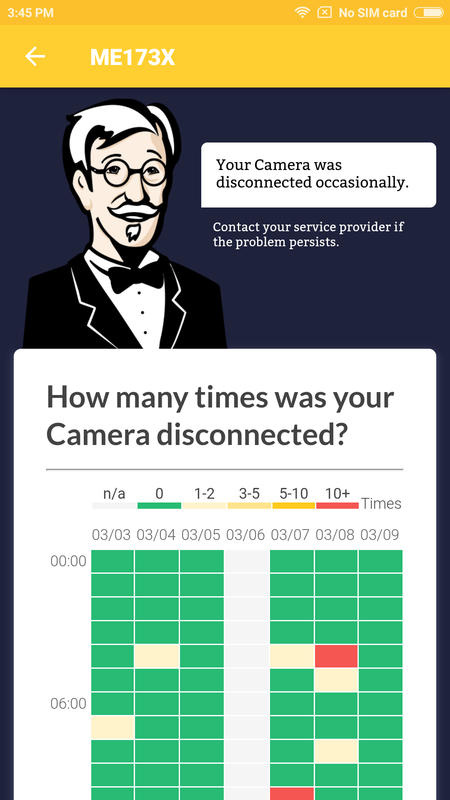 Have you ever experienced your Alfred Camera Phone getting disconnected for no apparent reason? It is connected to WiFi as well as a power source, so what can be wrong? Or is it really…? 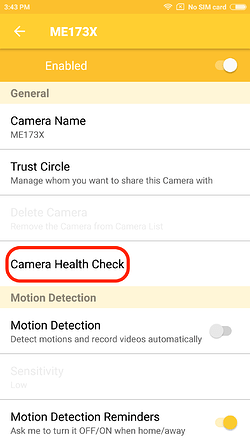 If you reach out to support, we might tell you something like “your Camera isn’t charging properly” or “your WiFi signal is very poor.” Great news: now you can figure this out with the new Camera Health Check feature from your Viewer Phone! Here is the funny thing: your WiFi level isn’t 100% related to the number of disconnections. 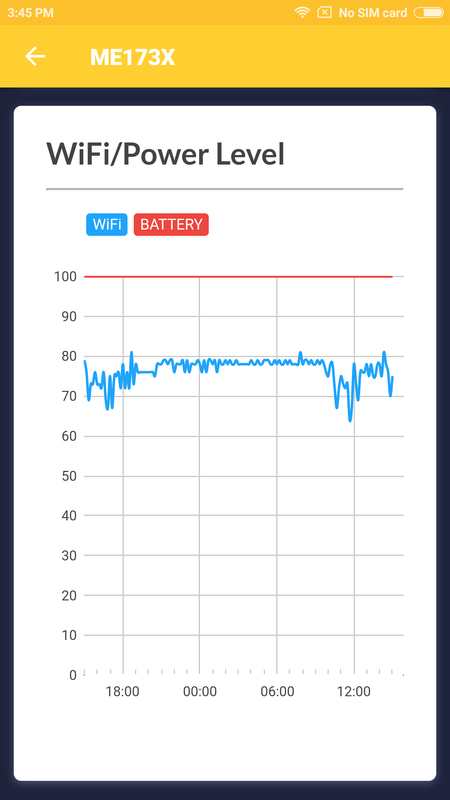 Your WiFi level could be just acceptable (around 50), but your Camera doesn’t get disconnected much. On the other hand, your WiFi level could be pretty good in general, but it gets disconnected a lot sometimes (for example when your provider limits the speed during peak hours). If your WiFi signal is consistently weak, you might be able to benefit from an app called WiFi Analyzer to give you more insight on how WiFi signal looks in different spots in your place. You might need to consult a professional if a better spot can’t be found. So give the health check a go and let us know if it’s helpful! Did you guys add special effects to your software? Does my Camera need to be connected to the Internet? What does code 7010 mean? Camera worked fine but then all of a sudden shows no picture, only sound can heard? Does my Camera Unit need to be plugged in? Says camera is disconnected, but still recording movement? How do I get device notifications like battery push notifications? Upgraded version not showing HD. Can you please check why? 7007 як можна виивести камеру из офлайн режиму дистанційно? Is it possible to check times when the camera was Online and Offline? Anyone getting more than 14,15 fps? No video recording, just photos? I got connection Status Codes. What should I do next? A kamera sokszor offline lesz. Majd feloldom a képernyőzárat és újra kapcsolódik. Do you have this problem with both of your Cameras or just one of them? Could you make sure all idle/battery-saving modes have been disabled? Can you record video and audio offline, even after you turn the screen off? @robertspencer0317 you need to be online for Alfred to work. You can use the power saving mode to turn the screen off. Can u hide the screen on ur camera phone from the viewer? @tytestim No. You need to enable power saving mode on camera device then on some systems you can hit the power button to turn off the screen. We take a look at the logs. It seems recently your Camera Phone goes offline quite frequently. Please try a different WiFi/Mobile network to see whether the situation gets better. In the meantime, you can run a health check to help you identify the network/power status. Hope it helps! I get s 7001 code and am unable to view. @michael7687 you need to physical access the device and restart Alfred, Usually this happens because of an auto update or auto reboot. Disable anything auto on your device. Do you mean that you can’t wake up your Camera Phone? This happens when your Camera has been powered down, disconnected, logged out, or simply crashed. If you see a yellow circle, please tap on it to see if the Camera can be woken up. If that fails, the only way to bring it back online is regaining physical access to the device. Please run a quick Camera Health Check to see if the power supply/connection can be improved: How Is Your Camera Doing? Do the Camera Health Check! Also, please avoid pressing home button or power key after you set up Camera in the future. Instead, you can tap the Lock icon on the bottom right corner.